Directed by Jack Clayton. 95 mins. Definitely one of the stranger entries in the childrens’ dark special effects extravaganzas of the 1980s. 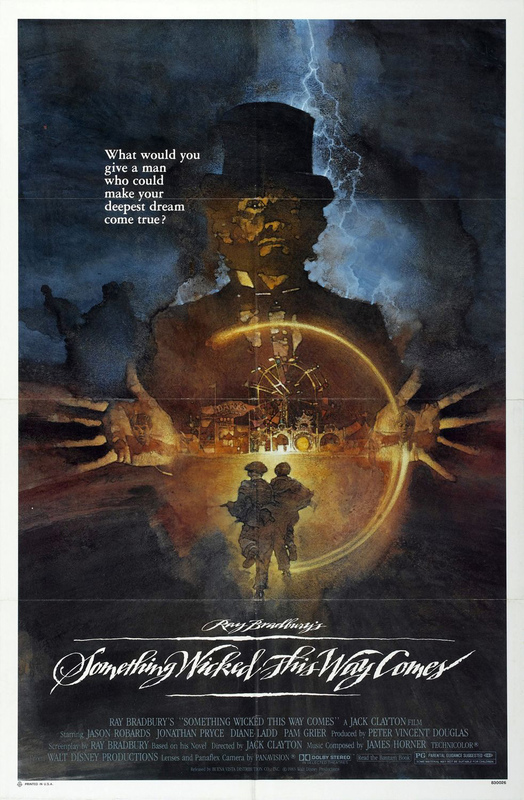 Ray Bradbury’s premise of children being stalked by regret incarnate (a tip of the hat to Jonathan Pryce) is certainly intriguing, but the plot is jumbled in execution (what the hell is up with Pam Grier? I mean, it’s great to see her and all, I just don’t know what she’s doing in the film). Plus, the actors who play the two lead kids are pretty excruciating to watch. Still a couple of snazzy effects shots throughout.